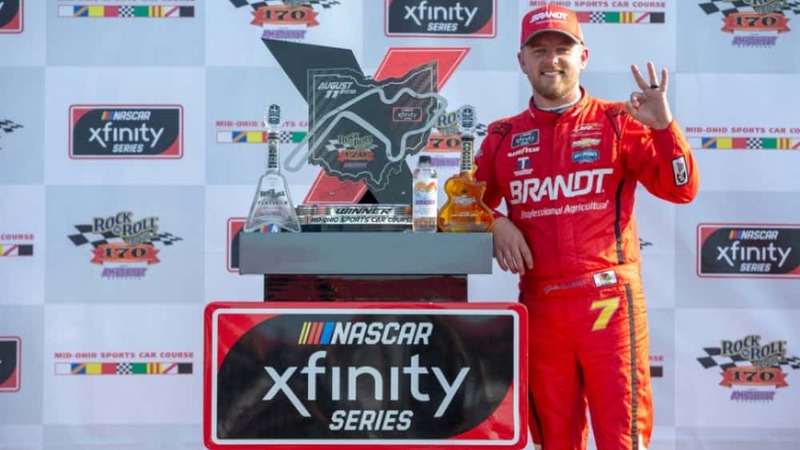 Justin Allgaier won the Xfinity Series race that kicked off a NASCAR doubleheader at Indianapolis Motor Speedway on Monday. The race was originally scheduled for Saturday but was delayed two days due to rain. 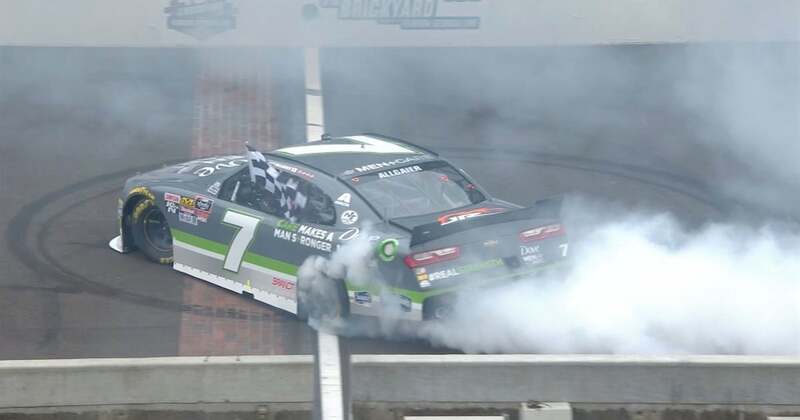 Allgaier earned his fifth victory of the season and first career win at Indianapolis in the 250-mile race, winning in a Chevrolet for JR Motorsports, the team owned by retired NASCAR driver Dale Earnhardt Jr. Tyler Reddick finished second, Ryan Blaney was third and Chase Elliott fourth. Blaney and Elliott both completed the Xfinity Series race then headed to their Cup cars for the second race.